Asahi Kuromine is a high school student who supposedly cannot keep a secret. One day he spots his crush Yoko Shiragami, unfurling a large pair of wings from her back. She explains to him that she is a vampire and is only able to attend a normal school on the condition that no one discover her true identity. Asahi swears to keep her secret but finds it hard to maintain seeing as how Yoko herself is an airhead and Asahi's friend Mikan keeps bullying the two of them. 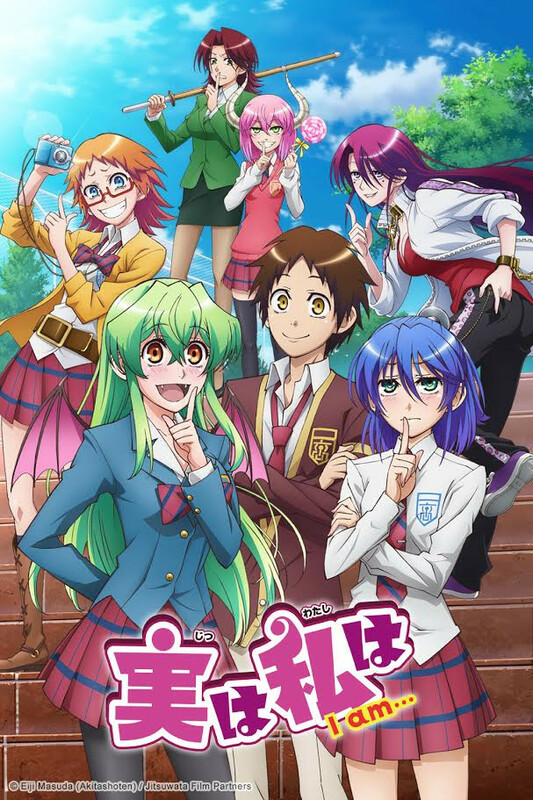 Eventually, he discovers more girls in his school with secrets of their own: a tiny alien who rides a human-sized exoskeleton of herself, a werewolf capable of switching gender at any depiction of a moon, a thousand-year-old demon who secretly runs the school, and more who pose a challenge as Asahi tries to keep Yoko's secret. Read the original manga, My Monster Secret, available from Seven Seas Entertainment!